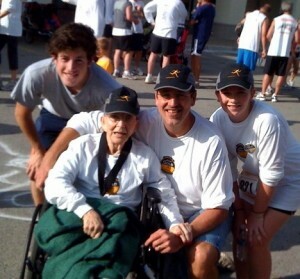 Bradley Brooker with his mom, Shirley Brooker, and kids after the race. 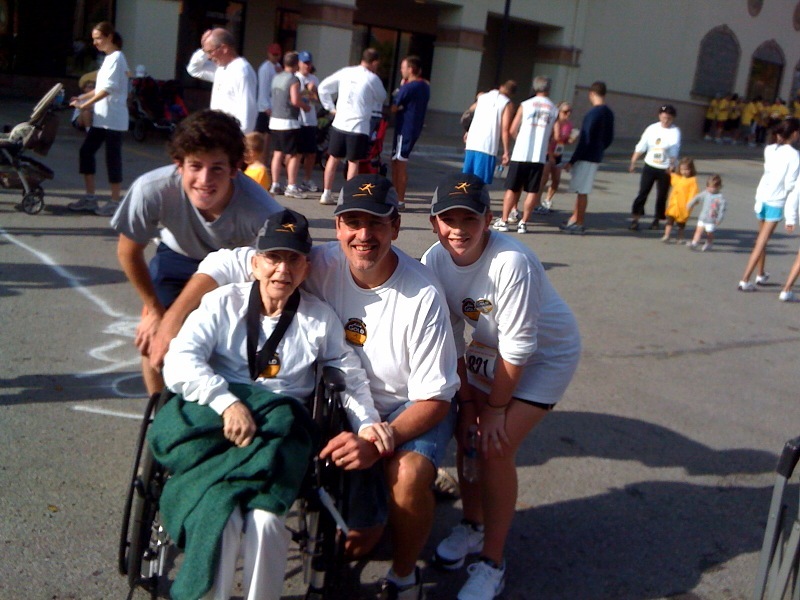 Bradley and Ron Gold started the race to honor their mothers and to raise money to fight Parkinson’s. BTW, Derek Tate set a course record in the 5K with a 15:14.